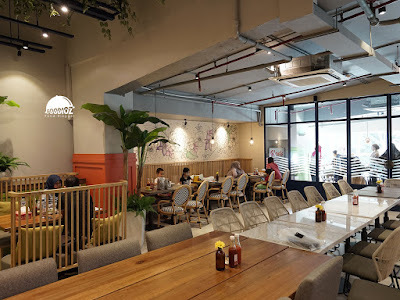 The familiar restaurant has been operating for many years in Jakarta. 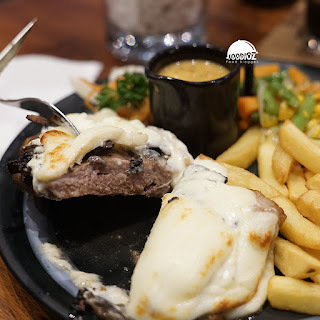 Glosis becomes one of the western restaurant with a famous steak menu variant. This time, i had the opportunity to visit one of the most updated Glosis outlets in South Jakarta. In a well-known apartment building with many expat occupants. 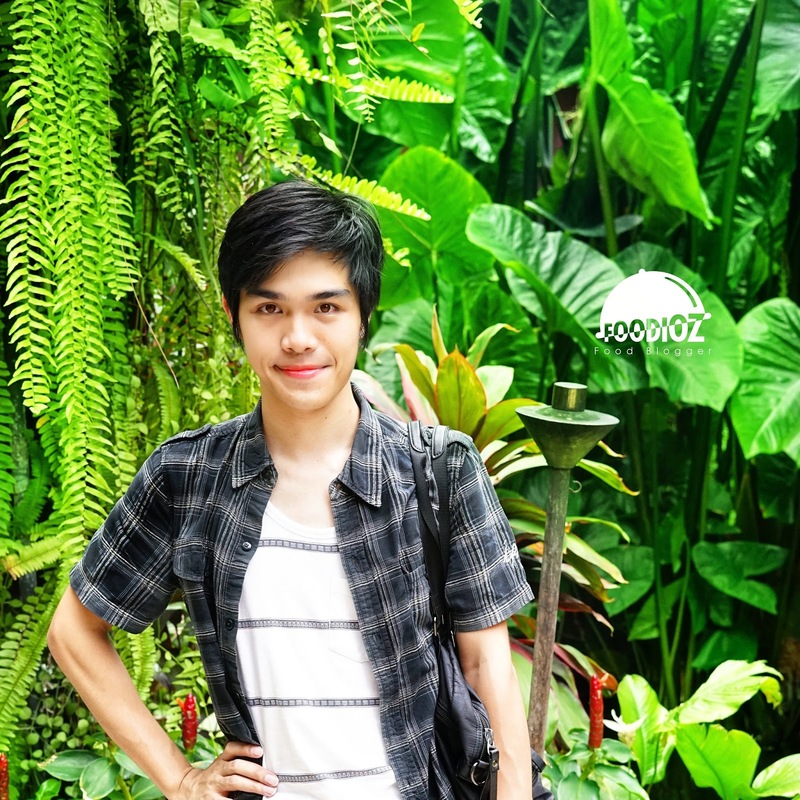 This outlet operates from the morning to serve breakfast menu. 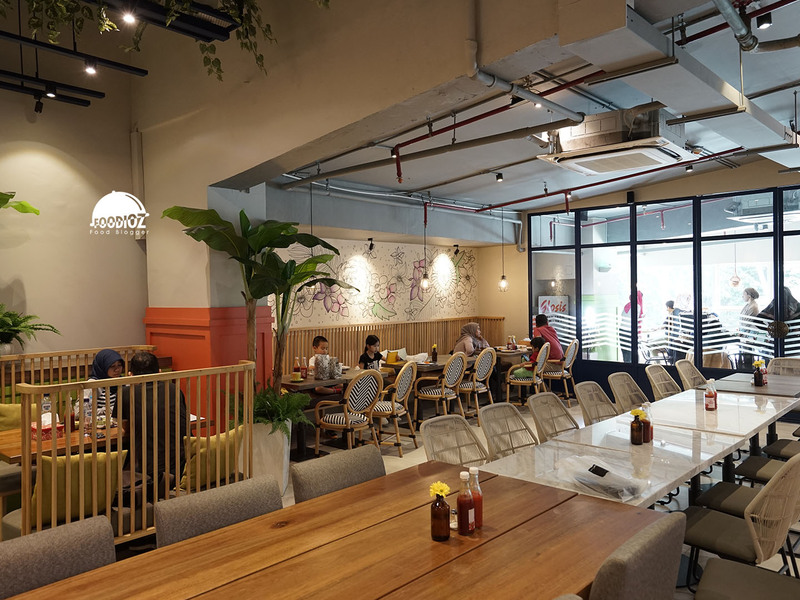 Ample area, modern concept, colorful in the whole room make the atmosphere of the restaurant to be bright. Also available is smoking room but can be used for private event by making reservation before. 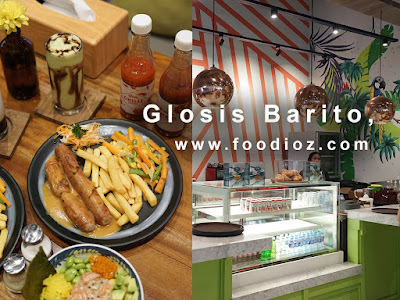 Classical menu Glosis such as steak, sausage and salad menu must be the attraction of this restaurant since the first. 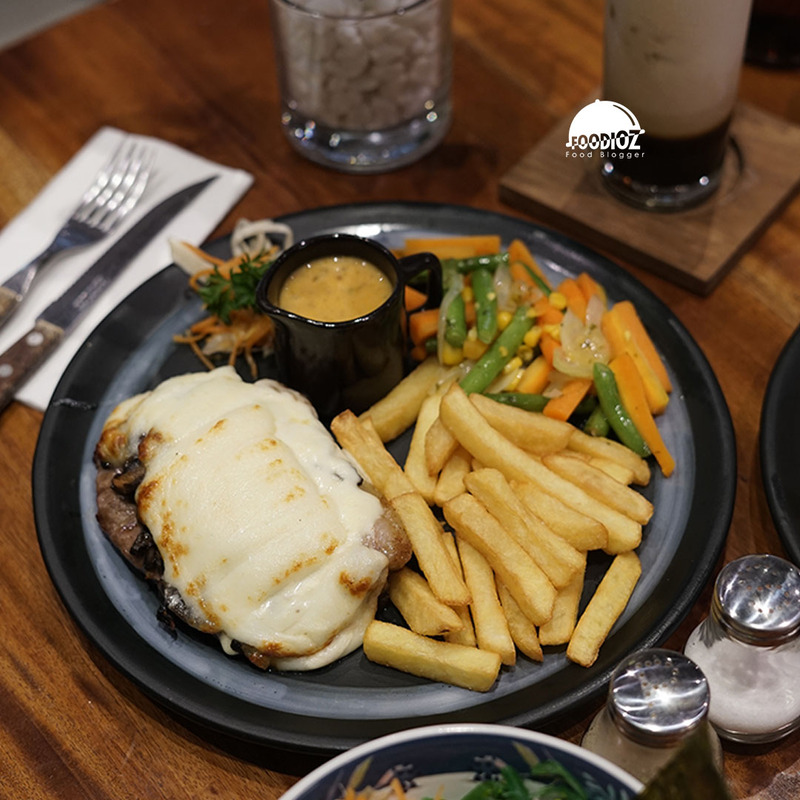 One of them Steak Monte Bianco, grilled sirloin with mushroom cream and mozzarella cheese. Then served along with sauteed vegetables and fries. Using local meat so that it will feel different from imported meat normally. However, adjusting with the tongue of Jakarta people, beef is served with medium well level maturity to produce a solid texture but soft enough. Sauce is poured on the meat was very tasty, do not forget the layer of mozzarella cheese thick enough to provide the sensation of enjoying a delicious steak. In addition to steak, there is also Glosis Mix Sausage. Sausage menu with choices on one plate. 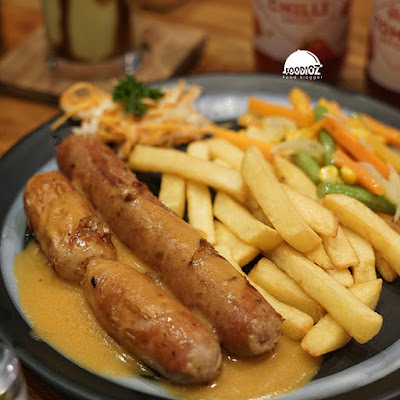 Consists of beef frankfurter, chicken kielbasa and cheese bratwurst. Each sausage has a different flavor, one of which is the special sausage cheese bratwurst with melted cheese in it. Besides this dish is also complete with sauteed vegetables and fries with a sizeable serving. In addition to meat, we can also enjoy the new menu which is a modern food concept that is currently trending in Jakarta. 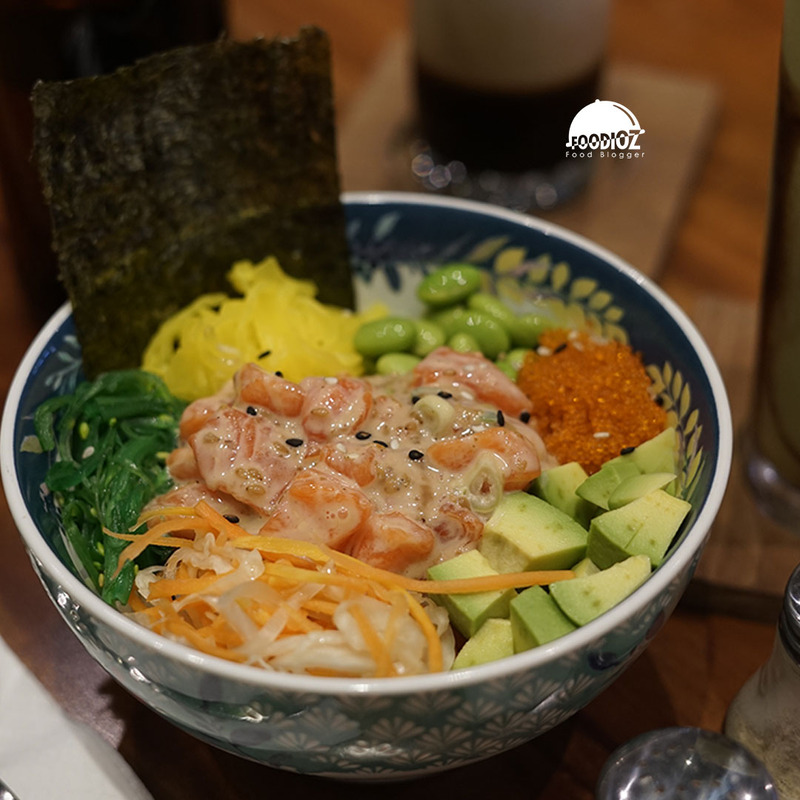 Poke bowl with a bowl of rice served along with fresh salmon cubes, wakame, tobiko, edamame, nori, avocado, daikon, and pickled carrots. A varied element with an interesting blend of color makes this dish very tempting. For the price offered is quite standard, other than that, the serving of food is large for one person. The choice of classic to modern menu makes visitors certainly have a varied choice. 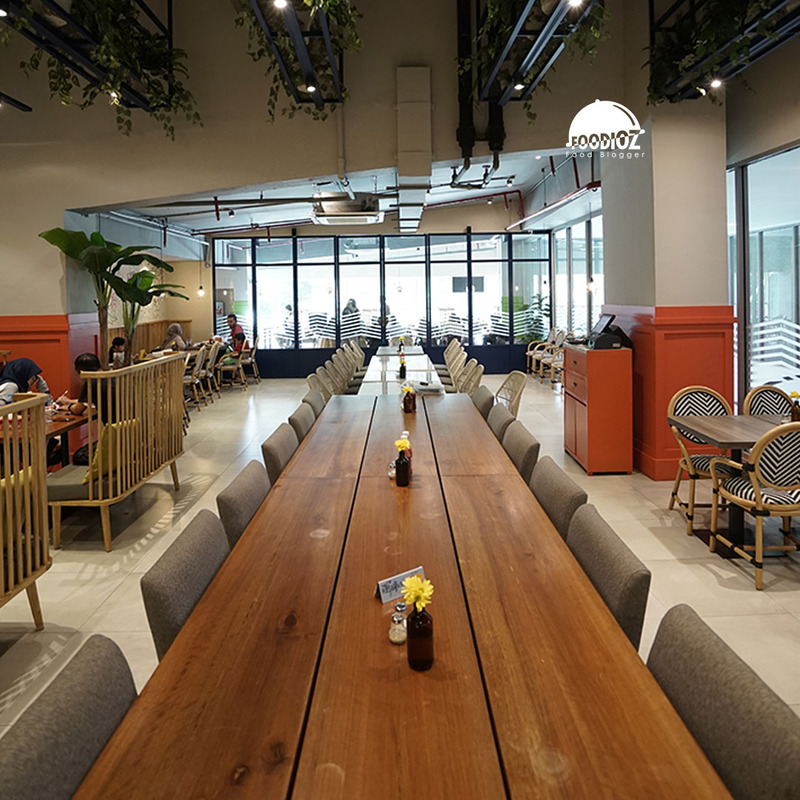 For the atmosphere, Glosis in this branch is also comfortable with a large area and nice seating.